Share options can be a great way to incentivise existing staff and attract talent, so could your business benefit from giving away equity to employees? Share options have become a popular buzz term in the start-up and small business world. However, despite their popularity there is still some confusion about what share options are, and what benefits they can offer your business and your individual option holders. For start-ups and small and medium enterprises, equity can be a great way to attract, incentivise and align goals with key employees or directors, while preserving precious cash reserves. 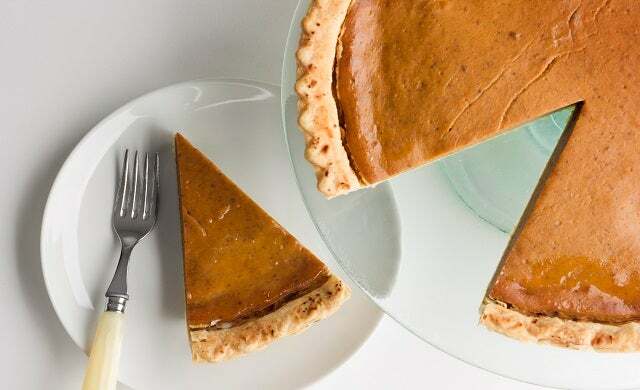 While offering a slice of the pie may well attract and incentivise employees, there are other ways you can reward hard-working members of staff which don’t necessarily involve the giving away of equity. If possible, it’s always preferable to try to hold on to as much of your company equity as possible so if you can offer cash bonuses such as commission-based bonuses to your marketing or sales team members for example, or any other innovative office perks as an alternative to shares/share options, that is certainly something worth considering. These alternative perks and incentives could include offering staff flexible working, company trips abroad, offering free breakfast and regular company social events, contributing to employee charitable donations and much more. For more advice ways to incentivise your staff click here. If you do choose to offer equity to your staff there are typically two paths you can go down: either transferring or issuing shares to an individual, or granting share options. When shares are transferred or given to employees, they become the legal owner of shares in your company and are therefore listed as shareholders on the company’s register of members. Depending on the rights attached to the class of share they get, recipients could then immediately become entitled to certain shareholder rights including dividends from historic and future profits, voting rights and proceeds from the sale of the business or its shares. Note that the granting of shares may also give rise to an immediate tax charge for the individual. The other option is for your company to establish a share option scheme. Share options confer on the option holder a right – but not the obligation – to acquire a set number of shares at a fixed price at some point in the future. Where it differs to the transfer/issue of shares is that the option holder is not automatically a shareholder of the company, but could become one when they eventually exercise their options. Broadly speaking, there are two types of share option schemes that are most common among small and medium-sized enterprises. These are Enterprise Management Incentive (EMI) Schemes, and Unapproved Share Option Schemes. EMI schemes are tax-advantaged schemes that can be highly beneficial for both the company and the individual option holders. Where possible, this would typically be the first choice scheme for most new or growing businesses. Please be aware that EMI options aren’t available to all, and you will need to check that both your business and the proposed option holders meet certain criteria for HMRC to approve the scheme. Tax – What impact will a share option have on your company and employee (s)? EMI share option schemes are generally much more beneficial for both in this respect. Valuation – Ultimately, the value of the options or shares is determined by the company. However, HMRC will check that income tax and NICs are not being unduly avoided. Flexibility – If your employee/consultant leaves on bad terms, what would you like to see happen to the shares or options? (The lapse of options is usually simpler than trying to clawback shares) And what if they leave on good terms? Income or capital – Is there greater future value in receiving dividends from profits (shares may be best) or in a capital gain following? For example, an IPO or business sale (exit-only options may be best)? Timing – When should the individual be able to own the shares? i.e. What vesting and exercise conditions should you attach to the share options? Regardless of how you choose to proceed, if you decide that sharing equity with your team is best for your company, it is crucial that the terms applicable to the shares or options are thoroughly documented. Failing to set out the details of vesting or leaver provisions can make it much more difficult to claw back shares, or lapse share options should that be necessary in the future.